A defeat for Derpabury, but a Pyrrhic victory for the Averlanders, as the ring-bearer destroyed all. One of the Spanish regiments of heavy cavalry at the time of Napoleon's early campaigns in the Peninsular. Just the first of several units of Napoleonics I have coming up. 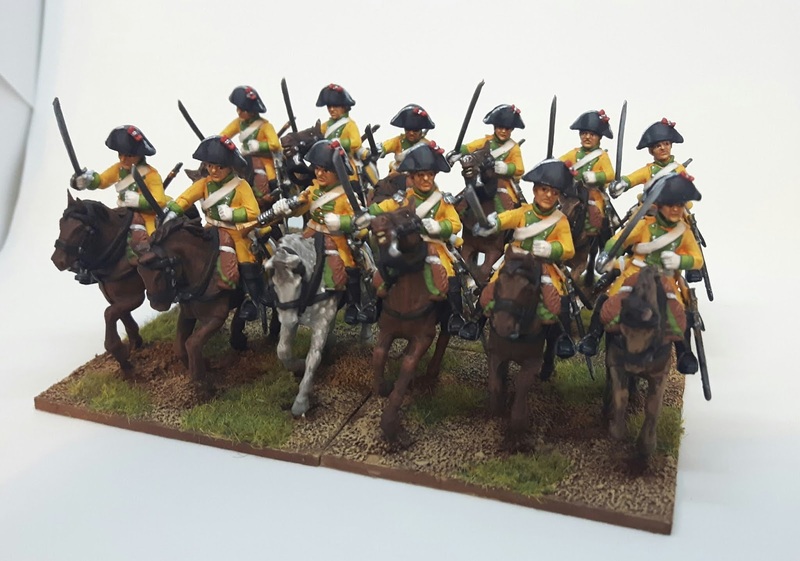 These are Perry Miniatures French Dragoons with bicorne heads from Trent Miniatures.